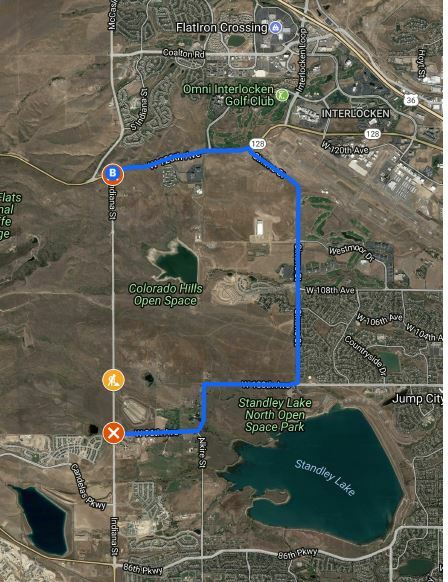 Jeffco Road Project: Indiana Street Closure at 96th and 120th Aves. This project has been completed ahead of schedule. Indiana Street is now open. Jefferson County Transportation Engineering will be closing Indiana Street at both 96th and 120th Ave (Highway 128) from January 8 - 12, 2018 for a large culvert repair. Crews will be working around the clock to ensure as short a closure period as possible. A traffic control plan will be provided as soon as one is available. Please use caution in the construction areas. For more information visit www.jeffco.us/783/Development-Transportation.